You are here: Home What is a Temperature Logger? A temperature logger is basically a thermometer with built-in memory. The results are stored for later recall. Temperature Control is vital in a number of industries, such as in the hospitality, transportation, and medical industries. Wherever there is a need for temperature control, there is a need for temperature logging. How do you know what the temperature is when you aren’t there to read a thermometer? In order to stay in business, you must be able to prove that you have not exposed items, such as food or vaccines, to excessive temperatures for too long. Thermometers can’t help you here – only a Temperature Logger will do the job. Thermometers are popular within businesses, but they provide very little information. Even if the temperature is correct at the moment does not mean that it was always correct. A thermometer displaying min/max temperatures will tell you if it has gone outside the temperature limits, but not for how long or why. This is where a temperature logger becomes an invaluable tool. 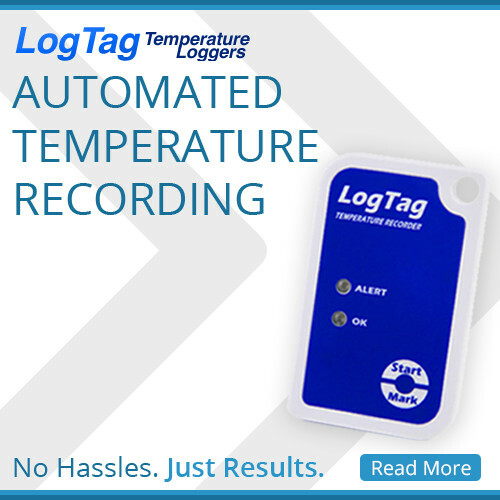 Temperature Loggers can save you time, money and your reputation. They give you the ability to monitor an item even when it is outside your control and to identify when problems occur. They work 24 hours a day, 7 days a week. A temperature logger records the temperature along with the date and time at regular intervals. The results can then be retrieved and analysed at a later date. Temperature Loggers allow you monitor individual pallets or boxes. You can detect if the goods have been left out of the refrigerator or freezer, and for how long. It provides crucial information on how procedures are being followed. Temperature loggers are often used to monitor freezers and refrigerators. This provides critical information on how your equipment is operating that can’t be discovered with just a thermometer, such as short-term spikes in temperature or inconsistent cooling. Thanks to OnSolution’s LogTags, I was able to track down the source of some food poisoning in my restaurant. It turns out that my refrigerators were shutting down for several hours overnight, after business hours. We would never have found that without our trusty LogTag! If you are involved with the transport of food, then temperature loggers can now stay with your products from start to finish. In the food and hospitality industry, temperature loggers are now being used to monitor products such as beef, pork, chicken, sea food, fruit, vegetables, nuts, berries, milk and dairy products, and frozen products. On the delivery side, temperature loggers are monitoring caterers, delivery vehicles and mobile food stalls. If you have any questions about Temperature Loggers, please email us and we will be able to assist you.